“Falcon College is a school built on a hole in the ground,” a famous Headmaster of the College, Dougal Turner, once said this – and it is the simple truth. 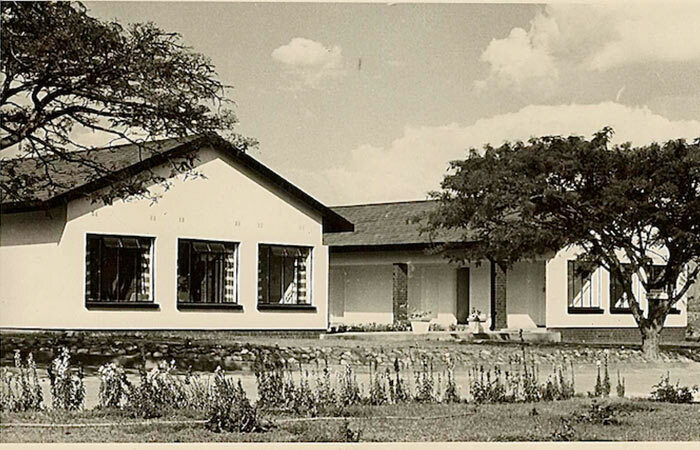 The College was originally a senior boys’ boarding school that was created on the site of the old Bushtick Mine near the village of Esigodini in Matabeleland, Zimbabwe. 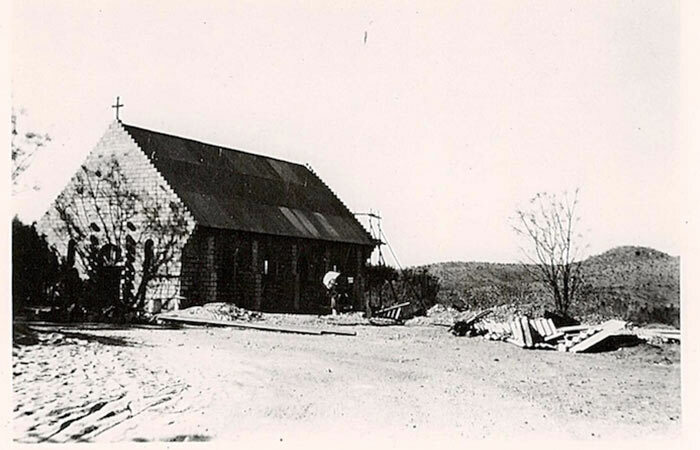 The Bushtick Mine had briefly been the largest goldmine in the colony of Southern Rhodesia. It had thrived in the period 1932 to 1947, peaking in 1938. In the context of the time, the mine had then exceeded its viability and finally shut down in 1951. 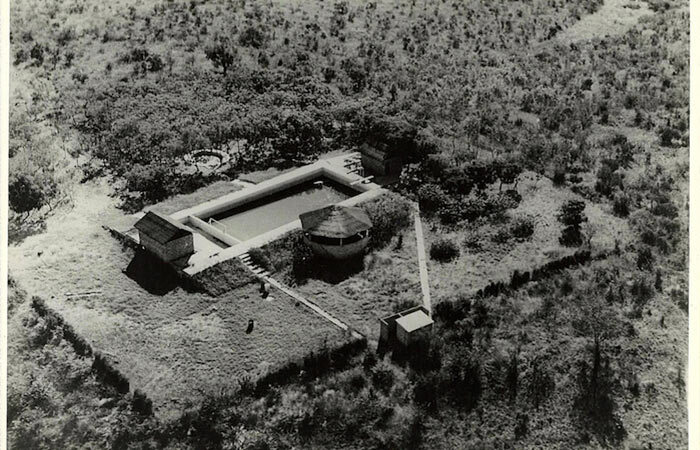 In 1954, Falcon College opened its gates and began life on the old mine property and infrastructure. Homes that had housed miners and their families would now house teaching staff and boarding school boys. Mine offices would become administration offices and classrooms. Mine facilities such as tennis courts and a swimming pool would become school facilities. 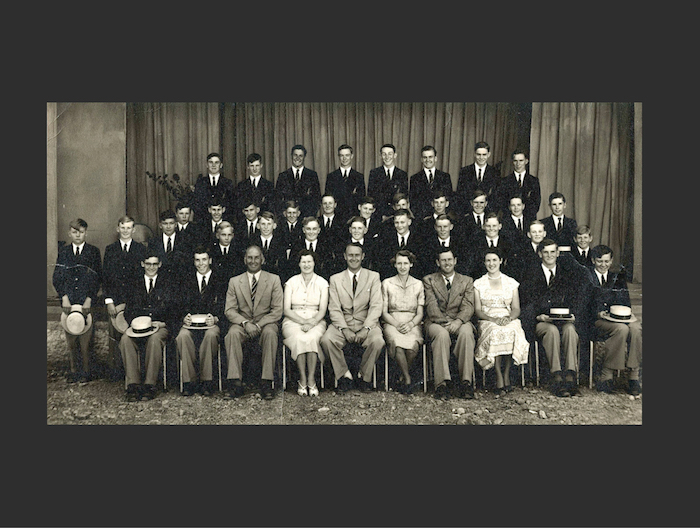 Since that time, the school has flourished to become one of Zimbabwe’s leading education establishments. The Esigodini area lies about 40 km south-east of Bulawayo in the Matabeleland South province of Zimbabwe. The area is known locally as the Esigodini Valley. The area is bounded by two river systems – the Ncema in the North and the Mzingwane in the South. The district is shaped like a large bowl measuring about 30 km north to south and 20 km west to east. The Northern portion is dotted with numerous small kopjes. The Western “boundary” is a hill range known locally as the “Blue Hills”- so named because of the colours and hues that paint the hills in the early morning and late evening.